Come to the mountains for the perfect musical weekend getaway. This year, our Weekend Pass includes Thursdays, so you can enjoy four days of amazing concerts and events! We’ve also partnered with Wintergreen Resort to offer special rates and overnight packages. And as always, the hiking, outdoor activities, finest wineries, breweries, cideries, and distilleries in Virginia all await. There’s so much to do, you might have to choose more than one exciting Wintergreen Music Weekend! Song, Cider & A Frightful Movie Night! Music at Bold Rock Hard Cider, Dr. Jekyll & Mr. Hyde set to music for Movie Night, plus the beauty of art, poetry, and comedy set to music on a mountaintop — see you there! The Blue Ridge Mountain Music Fest (revamped! 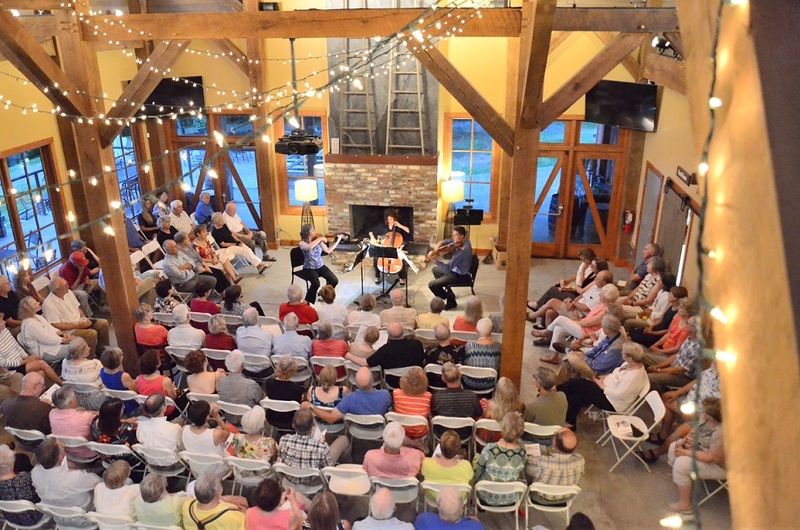 ), a concert at Valley Road Vineyards, and Beethoven’s Piano Concerto No. 4 with Orion Weiss — don’t miss it. This is truly the weekend with something for everyone: From Bach to Motown and concerts at Bold Rock, Devils Backbone, and the MountainTop, we know you’ll love every minute! Salsa Night, the VMFA’s traveling Artmobile, brunch at Bold Rock, and Pictures at an Exhibition, you say? Yes, please! Call Wintergreen Resort at 855.491.1486 or visit their website to take advantage of special lodging rates. You can easily book an entire weekend away — lodging, concerts, golf, tennis, and more, all in one place! Schedule your getaway today.